14 October 2016, at 6:00a.m. GLOBAL - Today is World Egg Day, and this year the event is celebrating its 21st birthday. Planned by the World Egg Organisation (WEO), this annual foodie date provides the perfect platform for communicating the numerous benefits of eggs to a worldwide audience. Julian Madeley, Director General of WEO explains this year’s objectives: “Eggs can make a crucial contribution to our diet on an individual level, and can also help to fulfil the protein requirements of the global community. "In both developed and developing populations – a high quality source of protein is a fundamental requirement. The significant role of eggs in delivering this essential nutrient cannot be overstated, so we hope to encourage as many people as possible to be part of this year’s celebrations." Today there will be a wide range of festivals, activities, charitable events and regional campaigns taking place all over the world - promoting the power of the astonishing egg, as the highest quality source of protein you can buy. Events such as a fun run, egg tasting, sharing of egg recipes and educational activities are taking place in countries as widespread as the Philippines, Senegal, Sweden and Canada. 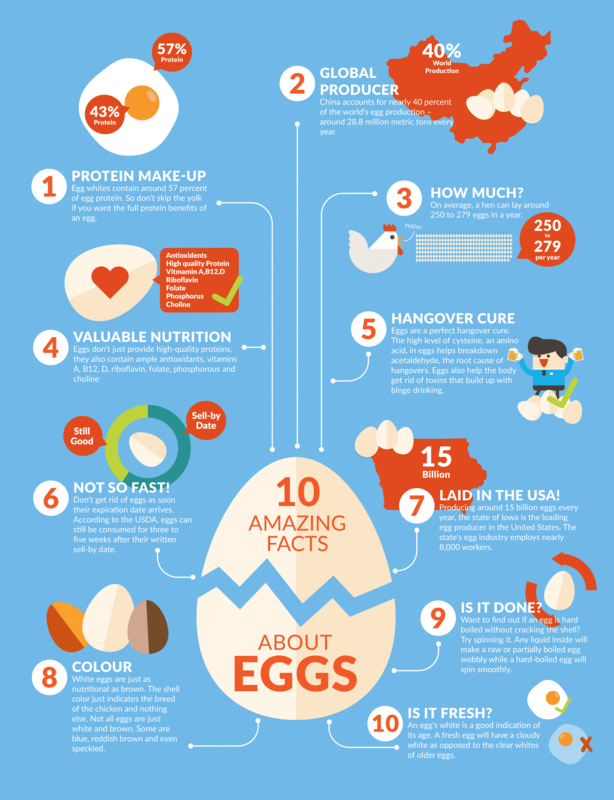 To celebrate this special event you can read some fascinating facts about eggs in our infographic below. Happy World Egg Day from everyone at The Poultry Site!